In addition to the speed skating courses on ice, T.S.S.V. Braga also offers specific weight training and fitness courses which are dedicated to the needs of a speed skater. This course is a good way to prepare for the upcoming season and is a great addition to your speed skating courses on ice. The first weight training and fitness course takes place on Wednesday August 29th at 20:00h, and this course will continue untill the second week of October. The meeting point for this course is at the entrance of the Student Sport Centre. In order to be able to join the speed skating courses you must first of all become a member of T.S.S.V. Braga. 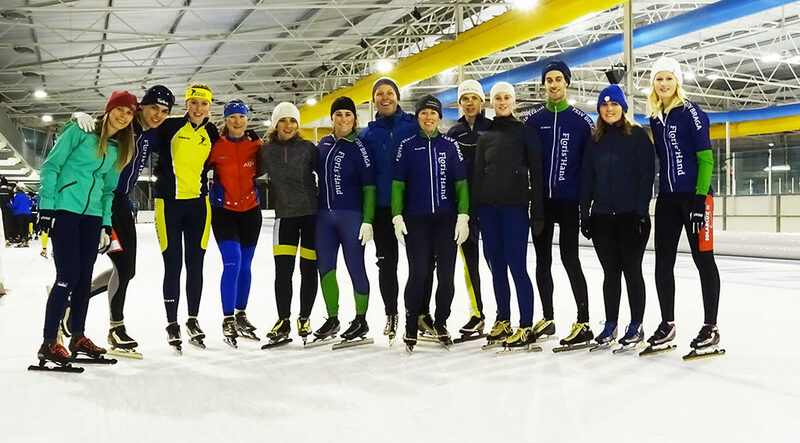 Secondly, it is compulsory to buy a Tilburg University sports membership in order to get access to the ice rink. Please note that access to the speed skating rink is granted via your fingerprint, the same way as you enter the university’s Sports Centre. So don’t forget to scan your finger! PS: at the start of the season all members will be spread amongst the three training groups. All members receive a message about the division before the first training session. The division between the training groups is not definitive. During the season this division may be adjusted.